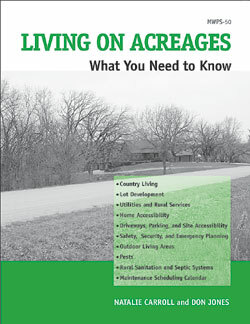 Living on Acreages presents general information on what you need to know about living on an acreage, helping you understand some of the opportunities and responsibilities of countryside living. This book is a valuable instruction and reference manual to everything from building and landscaping in the country to maintaining rural property. More than 80 drawings, diagrams, photographs, tables, and charts enhance descriptions of essentials. Each chapter lists resources and web sites for additional information.